University of St. Augustine for Health Sciences (USAHS) has announced that the university’s Master of Science in Nursing (MSN) program has been granted accreditation by the Commission on Collegiate Nursing Education (CCNE). 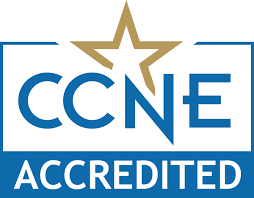 CCNE accreditation is a nongovernmental peer review process that operates in accordance with nationally recognized standards established for the practice of accreditation in the United States. The initial five-year accreditation, the maximum accreditation a new program can receive, comes following a rigorous process that included submission of a comprehensive self-study, a site visit by the CCNE accrediting team, and a thorough review of the MSN curriculum and processes. “Flexibility, innovation and a quality education are the foundations of the MSN program at USAHS, and I am very proud of this recognition from CCNE and what it represents for the university as we endeavour to provide interprofessional, practice-based and career-focused graduate nursing programs,” said Dr. Cindy Mathena, Dean of Post Professional Studies. CCNE ensures the quality and integrity of academic nursing programs through its robust accreditation process, serving the public interest by assessing and identifying programs that engage in effective educational practices. As a voluntary, self-regulatory process, CCNE accreditation supports and encourages continuing self-assessment by nursing programs and supports continuing growth and improvement of collegiate professional education and entry-to-practice nurse residency programs. The MSN is an online program, giving students the choice of four role specializations that offer optional campus-based experiences and provides students access to nursing faculty members who are nurse leaders in practice and education. The program gives students 24/7 access to online courses and learning resources, providing the flexibility to fit within the busy schedule working nurses must manage.